Pale pink coral color. 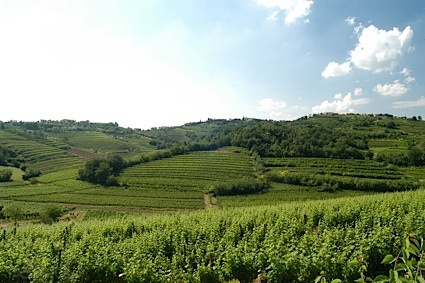 Aromas of fresh melons, jasmine tea, and floral bouquet with an bright, dryish light body and an interesting, medium-length basil finish with fine, fruit tannins and no oak flavor. A delicate pink sipper; try with oysters. Bottom Line: A delicate pink sipper; try with oysters. 84 • 10Span 2014 Pinot Noir, Central Coast 13.5% (USA) $7.00. 86 • 10Span 2014 Conservancy, Pinot Noir, Santa Barbara-Monterey County 13.5% (USA) $10.00. 86 • 10Span 2013 Pinot Gris, Monterey County 13.5% (USA) $8.00. 89 • 10Span 2014 Vineyards, Chardonnay, Santa Barbara County 13.5% (USA) $8.00. 86 • 10Span 2014 Chardonnay, Central Coast 13.5% (USA) $7.00. 83 • 10Span 2014 Cabernet Sauvignon, Central Coast 13.5% (USA) $7.00. 87 • 13 Celsius 2015 Sauvignon Blanc, Marlborough 12.5% (New Zealand) $14.99. 87 • 13 Celsius 2016 Sauvignon Blanc, Marlborough 12.5% (New Zealand) $14.99. 86 • Ancient Roots 2013 Dark Red Blend, California 13.5% (USA) $9.99. 87 • Ancient Roots 2014 Red Blend, California 13.5% (USA) $7.99. 88 • Ancient Roots 2014 Dark Red Blend, California 13.5% (USA) $8.99. 88 • AVA Grace 2014 Red Blend, California 13.5% (USA) $8.99. 87 • AVA Grace 2015 Sauvignon Blanc, California 13.5% (USA) $8.99. 89 • AVA Grace 2014 Chardonnay, California 13.5% (USA) $8.99. 88 • AVA Grace 2015 Chardonnay, California 13.5% (USA) $11.99. 82 • AVA Grace 2016 Rosé, California 13% (USA) $11.99. 86 • AVA Grace NV Red Blend 13.5% (USA) $9.99. 88 • AVA Grace 2015 Merlot, California 13.5% (USA) $11.99. 84 • AVA Grace 2015 Merlot, California 13.5% (USA) $11.99. 89 • AVA Grace NV Red Blend, American 13.5% (USA) $11.99. 84 • AVA Grace 2016 Rosé, California 13% (USA) $11.99. 85 • AVA Grace 2017 Pinot Grigio, California 13% (USA) $11.99. 87 • AVA Grace 2016 Merlot, California 13.5% (USA) $11.99. 85 • AVA Grace NV Red Blend, California 13.5% (USA) $11.99. 87 • Benziger 2016 Cabernet Sauvignon, Sonoma County 14.5% (USA) $21.99. 88 • Blacklist 2014 Cabernet Sauvignon, Central Coast 13.5% (USA) $12.99. 85 • Blacklist 2014 Cabernet Sauvignon, Central Coast 13.5% (USA) $12.99. 87 • Blacklist 2014 Cabernet Sauvignon, Central Coast 13.5% (USA) $12.99. 84 • Bodegas Belgrano NV Malbec, Argentina 13% (Argentina) $11.99. 80 • Bodegas Belgrano NV Malbec, Argentina 13% (Argentina) $7.99. 87 • Braveheart 2016 Cabernet Sauvignon, South-Eastern Australia 14.5% (Australia) $11.99. 83 • Braveheart 2016 Red Blend, South-Eastern Australia 14.5% (Australia) $11.99. 86 • Braveheart 2016 Chardonnay, South-Eastern Australia 13.5% (Australia) $11.99. 85 • Bucket List NV Chardonnay, California 13.5% (USA) $8.00. 88 • Bucket List NV Cabernet Sauvignon, California 13.5% (USA) $8.00. 84 • Bucket List NV Moscato, California 10% (USA) $8.00. 83 • Bucket List NV Pink Moscato, California 10% (USA) $8.00. 85 • Bucket List NV Rosé, California 10.5% (USA) $8.00. 85 • Bucket List NV Pinot Grigio, California 12% (USA) $8.00. 88 • Chandelier NV Sparkling, Italy 11% (Italy) $10.99. 92 • Chandelier NV Sparkling Wine, Italy 11% (Italy) $10.99. 87 • Chandelier NV Sparkling, Italy 11% (Italy) $10.99. 84 • Chloe 2014 Chardonnay, Sonoma County 13.5% (USA) $17.00. 85 • Chloe 2015 Chardonnay, Sonoma County 13.5% (USA) $16.99. 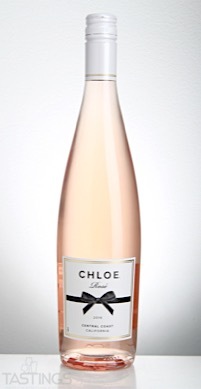 91 • Chloe 2016 Rosé, Central Coast 13.5% (USA) $17.99. 89 • Chloe 2014 Wine Collection Red No. 249, North Coast 13.5% (USA) $17.99. 88 • Chloe 2015 Wine Collection, Pinot Noir, Monterey County 13.5% (USA) $17.99. 93 • Chloe 2015 San Lucas Estate Vineyard, Merlot, Monterey County 13.9% (USA) $17.99. 89 • Chloe 2017 Rosé, Central Coast 13.5% (USA) $16.99. 90 • Chloe 2016 Pinot Noir, Monterey County 13.5% (USA) $17.99. 87 • Chloe 2017 Pinot Grigio, Valdadige D.O.C. 12.5% (Italy) $16.99. 87 • Chloe 2015 Chardonnay, Sonoma County 13.5% (USA) $16.99. 85 • Chloe 2017 Rosé, Central Coast 13.5% (USA) $16.99. 89 • Chloe NV Prosecco DOC 11% (Italy) $17.99. 87 • Chloe 2016 Pinot Noir, Monterey County 13.5% (USA) $16.99. 85 • Chloe 2015 Wine Collection Red No. 249, North Coast 14.5% (USA) $16.99. 89 • Chloe 2015 San Lucas Estate Vineyard, Merlot, Monterey County 13.9% (USA) $16.99. 92 • Chloe 2015 Cabernet Sauvignon, San Lucas 13.5% (USA) $16.99. 88 • Cocobon Vineyards 2015 Red Blend, California 13.5% (USA) $11.99. 88 • Contraband 2017 Chardonnay, South-Eastern Australia 15% (Australia) $9.99. 88 • Contraband 2017 Cabernet Sauvignon, South-Eastern Australia 15% (Australia) $9.99. 88 • Craftsmen 2015 Chardonnay, California 13.5% (USA) $8.99. 88 • Craftsmen NV Dark Red Blend 13.5% (USA) $8.99. 84 • Craftsmen 2015 Chardonnay, California 13.5% (USA) $8.99. 88 • Craftsmen NV Dark Red Blend, American 13.5% (USA) $8.99. 84 • Cupcake 2014 "Black Forest" Decadent Red, California 13.5% (USA) $13.99. 86 • Cupcake 2014 Pinot Grigio, IGT delle Venezie 12.5% (Italy) $13.99. 92 • Cupcake 2015 Moscato d’Asti DOCG 5.5% (Italy) $14.99. 87 • Cupcake NV Prosecco, Prosecco DOC 11.2% (Italy) $14.99. 90 • Cupcake 2015 Sauvignon Blanc, Marlborough 13% (New Zealand) $11.99. 90 • Cupcake 2015 Chardonnay, Monterey County 13.5% (USA) $12.99. 88 • Cupcake 2015 Pinot Grigio, Delle Venezie IGT 12.5% (Italy) $12.99. 85 • Cupcake NV Prosecco DOC 11% (Italy) $15.99. 86 • Cupcake 2016 Moscato d’Asti 5.5% (Italy) $15.99. 89 • Cupcake NV Sparkling Rosé, Italy 11% (Italy) $15.99. 84 • Cupcake 2016 Rosé, California 13.5% (USA) $12.99. 88 • Cupcake 2015 Pinot Noir, Central Coast 13.5% (USA) $12.99. 83 • Cupcake NV Sparkling Red Dessert Wine, Italy 7.5% (Italy) $15.99. 81 • Cupcake 2015 Cabernet Sauvignon, California 13.5% (USA) $12.99. 87 • Cupcake 2016 Pinot Grigio, Venezia IGP 12.5% (Italy) $12.99. 83 • Cupcake 2015 Cabernet Sauvignon, California 13.5% (USA) $12.99. 92 • Cupcake 2016 Winemaker’s Blend, Chardonnay, Monterey County 14.5% (USA) $19.99. 86 • Cupcake 2016 Cabernet Sauvignon, California 13.5% (USA) $12.99. 88 • D’Orsay 2015 Rosé, Côtes de Provence 13% (France) $12.99. 82 • D’Orsay 2016 Rosé, Côtes de Provence 13% (France) $12.99. 83 • D’Orsay 2016 Rosé, Côtes de Provence 13% (France) $12.99. 87 • D’Orsay 2017 Rosé, Côtes de Provence 13% (France) $17.99. 84 • D’Orsay 2017 Rosé, Côtes de Provence 13% (France) $12.99. 86 • Firefly Ridge 2014 Cabernet Sauvignon, Central Coast 13.5% (USA) $9.99. 83 • Firefly Ridge 2014 Chardonnay, Central Coast 13.5% (USA) $9.99. 83 • Firefly Ridge 2017 Pinot Grigio, Central Coast 13.5% (USA) $6.99. 81 • flipflop NV Chardonnay, California 13% (USA) $7.00. 86 • flipflop NV Pinot Grigio, California 13% (USA) $7.00. 88 • flipflop NV "Left Coast", Riesling, American 11% (USA) $7.00. 88 • flipflop NV Pink Moscato, California 10% (USA) $7.00. 90 • flipflop NV Moscato, California 10% (USA) $7.00. 88 • flipflop NV "Left Coast", Cabernet Sauvignon, Chile 12.5% (Chile) $7.00. 88 • flipflop NV "Left Coast", Pinot Noir, Chile 13% (Chile) $7.00. 83 • flipflop NV Merlot, California 13% (USA) $7.00. 84 • flipflop NV Fizzy "Chill" Red 6.5% (USA) $1.75. 83 • flipflop NV Fizzy Sangria 6.5% (USA) $1.75. 87 • flipflop NV Fizzy Pink Moscato 6.5% (USA) $1.75. 84 • flipflop NV Fizzy Crisp White 6.5% (USA) $1.75. 84 • flipflop NV Fizzy Moscato 6.5% (USA) $1.75. 90 • flipflop NV Pinot Grigio, California 13% (USA) $7.00. 85 • flipflop NV Riesling, American 11% (USA) $7.00. 90 • flipflop NV Pink Moscato, California 10% (USA) $7.00. 84 • flipflop NV Moscato, California 10% (USA) $7.00. 84 • flipflop NV Left Coast, Cabernet Sauvignon, Chile 12.5% (Chile) $7.00. 90 • flipflop NV Pinot Noir, Chile 13% (Chile) $7.00. 85 • Franzia NV Chardonnay, Australia 12.5% (Australia) $16.99. 83 • Franzia NV Merlot, Chile 13% (Chile) $16.99. 85 • Franzia NV Cabernet Sauvignon, Chile 12.5% (Chile) $16.99. 83 • Franzia NV Dark Red, American 13.5% (USA) $16.99. 84 • Franzia NV Pinot Grigio-Colombard, American 12.5% (USA) $16.99. 83 • Franzia NV Moscato, California 10% (USA) $16.99. 84 • Franzia NV Pink Moscato, California 10% (USA) $16.99. 82 • Franzia NV Rosé, California 10.5% (USA) $16.99. 85 • Franzia NV Pinot Noir-Carmenere, Chile 12.5% (Chile) $16.99. 85 • Imagery Estate 2017 Cabernet Sauvignon, California 14.3% (USA) $19.99. 85 • Imagery Estate 2017 Pinot Noir, California 13.5% (USA) $19.99. 92 • Insurrection 2015 Red Blend, South-Eastern Australia 15% (Australia) $16.99. 90 • Insurrection 2015 Red Blend, South-Eastern Australia 15% (Australia) $16.99. 86 • Insurrection 2016 Cabernet Sauvignon, South-Eastern Australia 15.5% (Australia) $16.99. 88 • Insurrection 2016 Red Blend, South-Eastern Australia 15.9% (Australia) $16.99. 84 • It’s a Headsnapper 2015 Malbec, Mendoza 13.5% (Argentina) $11.99. 85 • It’s a Headsnapper 2014 Radiant Red Blend, California 13.5% (USA) $11.99. 86 • It’s a Headsnapper 2013 Dark Red Blend, California 13.5% (USA) $11.99. 84 • It’s a Headsnapper 2014 Chardonnay, Sonoma County 13.9% (USA) $13.99. 87 • It’s a Headsnapper 2013 Pinot Noir, North Coast 13.5% (USA) $14.99. 90 • It’s a Headsnapper 2015 Sauvignon Blanc, Marlborough 13.0% (New Zealand) $14.99. 83 • It’s a Headsnapper 2014 "Radiant" Red, California 13.5% (USA) $11.99. 82 • It’s a Headsnapper 2015 Malbec, Mendoza 13.5% (Argentina) $11.99. 89 • It’s a Headsnapper 2015 Pinot Grigio, Veneto DOC 12.5% (Italy) $11.99. 85 • It’s a Headsnapper NV Prosecco DOC 11% (Italy) $14.99. 86 • It’s a Headsnapper 2017 Sauvignon Blanc, Marlborough 12.5% (New Zealand) $15.00. 86 • It’s a Headsnapper NV Radiant Red Blend, California 13.5% (USA) $10.00. 87 • It’s a Headsnapper 2016 Chardonnay, Monterey County 13.5% (USA) $10.00. 88 • It’s a Headsnapper 2017 Prosecco DOC 11% (Italy) $10.00. 87 • It’s a Headsnapper NV Dark Red Blend, California 13.5% (USA) $10.00. 86 • Jewelry Box 2015 Chardonnay, South-Eastern Australia 13% (Australia) $18.99. 87 • Jewelry Box 2015 Pinot Grigio, South Australia 12% (Australia) $18.99. 84 • Jewelry Box 2014 Cabernet Sauvignon, South Australia 13.5% (Australia) $18.99. 90 • Jewelry Box 2015 Cabernet Sauvignon, South-Eastern Australia 13.8% (Australia) $18.99. 83 • Love Noir 2014 Sultry Rosé, California 13.5% (USA) $11.99. 90 • Love Noir 2014 Pinot Noir, California 13.5% (USA) $11.99. 83 • Love Noir 2014 "Satin Red", California 13.5% (USA) $15.99. 83 • Love Noir 2015 Sultry Rosé, California 13.5% (USA) $15.99. 90 • Love Noir 2015 Pinot Noir, California 13.5% (USA) $15.99. 86 • Love Noir 2016 Pinot Noir, California 13.5% (USA) $15.99. 82 • Love Noir 2017 Rosé, California 13% (USA) $12.50. 85 • Love Noir 2016 Satin Red, California 13% (USA) $15.99. 92 • Member’s Mark 2015 Chardonnay, Central Coast 13.5% (USA) $7.99. 88 • Member’s Mark 2017 Chardonnay, Central Coast 14% (USA) $8.00. 82 • Member’s Mark 2017 Pinot Grigio, California 13% (USA) $10.00. 86 • Member’s Mark 2017 Pinot Grigio, California 13% (USA) $8.00. 82 • Oak Leaf NV Chardonnay, California 12.5% (USA) $8.00. 85 • Oak Leaf NV Merlot, California 12.5% (USA) $8.00. 86 • Plummy 2016 Pinot Noir, California 13.5% (USA) $16.99. 90 • Plummy 2016 Pinot Noir, California 13.5% (USA) $15.00. 86 • Pour Haus 2014 Cabernet Sauvignon, California 13.5% (USA) $18.99. 84 • Pour Haus 2015 Chardonnay, California 13.5% (USA) $18.99. 90 • Publix Premium 2013 Chardonnay, California 14.9% (USA) $20.00. 90 • Publix Premium 2014 Pinot Noir, Russian River Valley 14.5% (USA) $29.99. 92 • Publix Premium 2013 Cabernet Sauvignon, Spring Mountain, Napa Valley 13.5% (USA) $34.99. 84 • Quail Oak NV Cabernet Sauvignon, California 12.5% (USA) $8.00. 87 • Quail Oak NV Pinot Grigio-Colombard, California 11.7% (USA) $8.00. 86 • Royal Post NV Rosé, California 10% (USA) $8.00. 90 • Save Me, San Francisco 2014 "Soul Sister", Pinot Noir, California 13.5% (USA) $14.99. 80 • Save Me, San Francisco 2015 "Bulletproof Picasso", Sauvignon Blanc, California 13.5% (USA) $14.99. 88 • Save Me, San Francisco 2014 "California 37", Cabernet Sauvignon, California 13.5% (USA) $14.99. 85 • Save Me, San Francisco 2014 "Hella Fine", Merlot, California 13.9% (USA) $14.99. 89 • Save Me, San Francisco 2014 "Calling All Angels", Chardonnay, California 13.5% (USA) $14.99. 86 • Save Me, San Francisco 2014 "Drops of Jupiter", California 13.5% (USA) $14.99. 90 • Save Me, San Francisco 2014 Cabernet Sauvignon, California 13.5% (USA) $14.99. 88 • Save Me, San Francisco 2015 Marry Me Rosé, California 13.5% (USA) $10.00. 84 • Save Me, San Francisco 2016 Soul Sister, Pinot Noir, California 13.5% (USA) $10.00. 90 • Savor Collective 2014 Pinot Noir, Monterey County 13.5% (USA) $15.99. 83 • Sea Siren 2017 Rosé, California 13% (USA) $12.99. 86 • Sea Siren 2017 Sauvignon Blanc, Central Coast 13.5% (USA) $12.99. 84 • Sea Siren 2017 Pinot Grigio, Central Coast 13.5% (USA) $12.99. 86 • Slow Churn 2016 Chardonnay, California 13.5% (USA) $16.99. 89 • Slow Churn 2016 Chardonnay, California 14% (USA) $15.00. 90 • Slow Press 2014 Cabernet Sauvignon, Paso Robles 13.5% (USA) $12.99. 88 • Slow Press 2014 Chardonnay, California 13.5% (USA) $14.99. 91 • Slow Press 2016 Sauvignon Blanc, California 14.3% (USA) $.00. 82 • Slow Press 2015 Cabernet Sauvignon, California 13.5% (USA) $16.99. 83 • Slow Press 2016 Cabernet Sauvignon, California 13.5% (USA) $16.99. 87 • Slow Press 2016 Chardonnay, Sonoma County 14.5% (USA) $16.99. 86 • Slow Press 2016 Sauvignon Blanc, Monterey County 14.3% (USA) $16.99. 92 • Stave & Steel 2015 Bourbon Barrel Aged, Cabernet Sauvignon, Paso Robles 13.5% (USA) $19.99. 84 • Tailor Made 2016 Cabernet Sauvignon, California 13.5% (USA) $15.99. 87 • Tailor Made 2016 Chardonnay, California 13.5% (USA) $15.99. 87 • Tailor Made 2016 Creamy, Chardonnay, California 13.5% (USA) $15.99. 88 • Tailor Made 2016 Pinot Noir, California 13.5% (USA) $15.99. 85 • Tailor Made 2017 Chardonnay, California 13.5% (USA) $15.00. 89 • Tailor Made 2016 Creamy, Chardonnay, California 14% (USA) $15.00. 89 • Tailor Made 2016 Pinot Noir, California 13.5% (USA) $15.00. 87 • Tailor Made 2016 Cabernet Sauvignon, California 13.5% (USA) $15.00. 93 • The Seven Deadly Zins 2016 Old Vine, Zinfandel, Lodi 15% (USA) $15.99. 91 • Trapiche 2014 Broquel, Malbec, Mendoza 14.5% (Argentina) $17.99. 86 • Trapiche 2015 Broquel, Cabernet Sauvignon, Mendoza 14% (Argentina) $17.99. 94 • Trapiche 2016 Oak Cask, Malbec, Mendoza 13.5% (Argentina) $13.99. 87 • Trapiche 2016 Oak Cask, Cabernet Sauvignon, Mendoza 13.5% (Argentina) $13.99. 84 • Voyager Point 2016 Cabernet Sauvignon, California 13.5% (USA) $9.99. 83 • Voyager Point 2016 Red Blend, California 13.5% (USA) $9.99. 92 • Voyager Point 2017 Sauvignon Blanc, Marlborough 12.5% (New Zealand) $9.99. 88 • Voyager Point 2016 Cabernet Sauvignon, California 13.5% (USA) $10.00. 87 • Voyager Point 2016 Red Blend, California 13.5% (USA) $10.00. 90 • Voyager Point 2017 Sauvignon Blanc, Marlborough 12.5% (New Zealand) $10.00. 88 • Witching Hour 2014 Red Blend, California 13.5% (USA) $7.99. 85 • Witching Hour 2014 Deep Red Blend, California 13.5% (USA) $9.99. 87 • Wonderstruck NV Sparkling Rosé, Italy 11% (Italy) $14.99. 89 • World’s Edge NV Chardonnay, South-Eastern Australia 12.5% (Australia) $8.00. 87 • World’s Edge NV Cabernet Sauvignon, South-Eastern Australia 13.5% (Australia) $8.00. Chloe 2016 Rosé, Central Coast rating was calculated by tastings.com to be 91 points out of 100 on 4/17/2017. Please note that MSRP may have changed since the date of our review.